Pitch perfect audio has been in business for over 10 years and in that time I’ve met many customers whom I now call friends. They have been with me since the beginning, supporting pitch perfect audio, appreciative of the advice I have given them, and built up superb music systems. Roger is one such fellow. He has stayed the path with pitch perfect audio recommended components and has been rewarded with a rich musical journey. In 2014 he had enthusiastically wrote about his experiences with Shindo and pitch perfect audio. I just returned from a Nevada road trip to install Rogers new Shindo 301 Player System..
“My Shindo journey began reading equipment reviews by Jules Coleman that ultimately led me to Pitch Perfect Audio in San Francisco. The reviews were exceptional – insightful, well informed, and funny – and they prepared me for the experience of listening to the real thing. The first review that I read was about a Shindo preamplifier, and the last was about a full Shindo system. 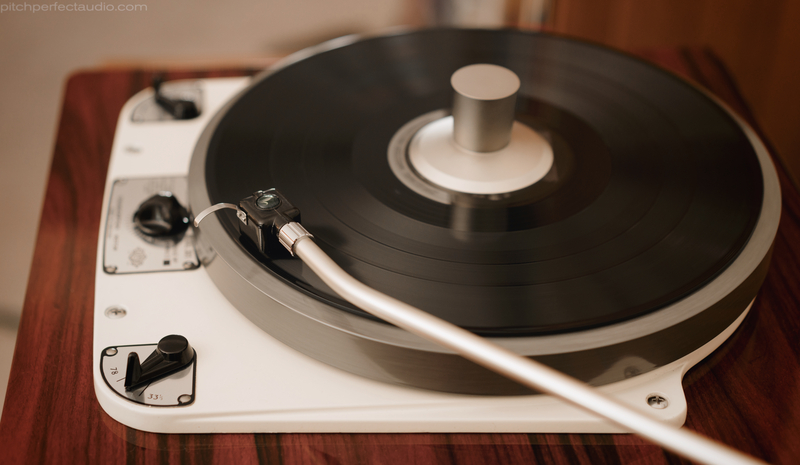 As Jules said in his review of the Shindo 301, “It fills the room with sound and is the most musically persuasive turntable I have heard.” He was right and prophetic at the same time. These reviews were intriguing and motivational, but the Shindo line seemed out of my range. I am analytical, however, and questioned whether upgrading to Shindo electronics might get me part of the way toward my goal. I also am “old school” and hold to the view that the source component is most important. On hearing the full Shindo system at Pitch Perfect, the overall impact was both difficult to describe and even more challenging to analyze. Small details in recorded music sounded unlike anything heard before (more lifelike), and new details emerged in familiar recordings – unheard in any other systems. A “macro” approach led to thoughts about dynamism and power, a characteristic unequalled by the best of what I had heard to date. I was hooked, but the challenge of how to move to this level of playback equipment remained overwhelming, excluding repeated visits to Pitch Perfect. Matt Rotunda, owner of Pitch Perfect and now a good friend and better adviser, recommended that I consider starting with a Shindo preamp. This led me to purchase a [Shindo Lab] Masseto from Matt, transforming my system but still not delivering the combined magic of “micro” and “macro” qualities. A significant upgrade opportunity came along a few years later with the purchase of Shindo Lafite speakers. I made this investment and also purchased a Cortese amplifier, Mr. T, as well as cables and interconnects at the same time. This got me much closer to the sound of the full Shindo system but not fully there. More time passed, and I was considering a cartridge upgrade and the possibility of investing in an Auditorium Homage step-up transformer. Reviews of step-up transformers by Coleman and Dudley were part of the motivation. Dudley’s line about the T2 – “It’s so good, it’s sick” – stuck with me. This necessitated another visit to Pitch Perfect in Matt’s new location in Southern California. As always, Matt just played music for me using various set ups. A cartridge upgrade and the T2 proved enticing, but the combination was not the equal of the Shindo 301 and T1. My wheels started turning again, leading to the question of whether any upgrade short of the Shindo 301 would be satisfying. In the end, my answer was “not even close.” I read as much as possible about the Shindo 301 confirming what was clear to me on my initial listen. This was a turntable system that I needed to have and ultimately ordered from Matt late in 2015. Matt advised that production would be delayed for several months, but that the result would be worth the wait. I struggled with the added cost of the T1 but was assured that the table would sound great with the Masseto. My original plan was to hold off on purchasing the T1. Matt also promised to bring a T1 to my house at the time of the installation so that a comparison could be made. Once the 301 arrived from Japan, Matt came to my home for the installation. All went well initially. Matt’s installation was meticulous (he wore surgical gloves) [yes, I wore gloves!-Matt] , and he fine-tuned the set up playing a range of familiar recordings. He also installed a used T1, and I was firmly hooked – hearing in my listening room the magical combination of micro details and macro impact that I first heard at Pitch Perfect nearly 10 years earlier. I had my dream system installed at home. All was not perfect, however. After Matt left to return to Southern California, I played amplified rock music louder than anything we played during the installation. This led to acoustic feedback that was not acceptable. I immediately contacted Matt, who called while en route home. He recommended several steps, and I followed his advice incrementally. I also contacted Jonathan Halpern of Tone Imports, the U.S. importer of Shindo gear. Both were confident of the diagnosis, but initial steps toward a solution were not effective. It was clear that the room and my listening habits caused the problem; my wife and I joked that we needed to buy a new house. Jonathan and Matt were convinced that a solution could be found. In the end, the solution was to place plywood platforms under each Lafite speaker. Matt had experience with this and was certain that the platforms would improve the overall sound. They did and cured the acoustic feedback problem at the same time. I was back in business.